While situation remains dire at the Fukushima nuclear plant, a previous report that stated radiation levels were "10 million times" above acceptable levels was incorrect, the Guardian reported today. "The number is not credible," a spokesman, Takashi Kurita, said. "We are very sorry." Kurita said officials were taking another sample to get accurate levels, but did not know when the results would be announced. 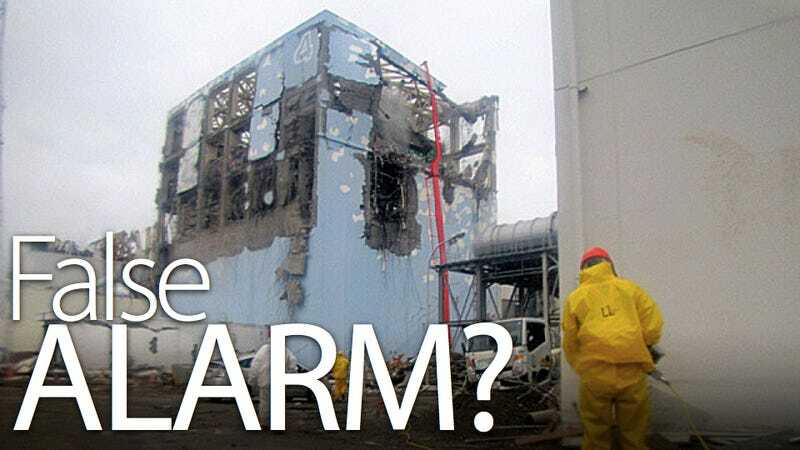 Misreadings aside, the situation at Fukushima remains undeniably dangerous and uncertain. A few days ago two Fukushima workers were hospitalized after stepping into water that had radiation levels 10,000 times above acceptable levels. They received what are believed to be severe beta ray burns but are expected to be discharged on Monday.